I often dream of a Mountain Snowmobile adventure where valleys, chutes and peaks are plentiful, the scenery is picture perfect in every direction and the snow is deeper than I am tall. It is without a doubt that many of us snowmobilers in the eastern communities of North America yearn for this epic mountain experience. However we often forget just how special our own backyards are. It is without a doubt that many of us snowmobilers in the eastern communities of North America yearn for this epic mountain experience however we often forget just how special our own backyards are. Here in Ontario we have over 32,000km of groomed interconnected snowmobile trails that link community to community. In between these rider-friendly communities lay thick mixed forests of Maple, Birch, Pine and Hemlock among many other species. These forests are home to large animals such as Moose, Deer, Wolves and Lynx as well as smaller creatures like Fox, Owls, Hawks and Blue Jays. There are thousands of rivers and lakes which, in the winter, become part of our frozen trail system and, best of all, we have places to stay, to fuel and to see. This province truly is a special place, it’s yours to discover. Algonquin Provincial Park is recognized around the world as a one of the most majestic and inspiring tourist destinations. 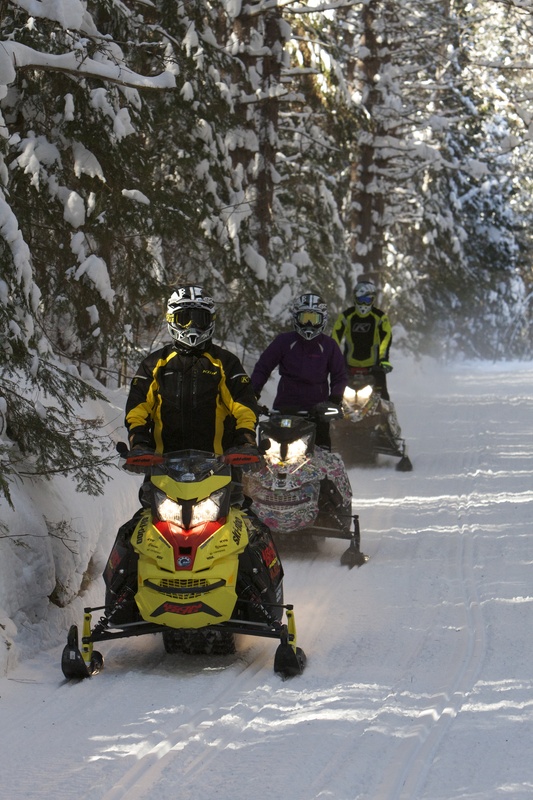 The interior of the park is largely ‘as it was’ and although it is restricted to motorsports activity by a geographic border (except for the OFSC TOP B Trail & Highway 60 via Motorcycle), Ontario Snowmobilers will tell you the area that surrounds the park is a motorsports paradise. This is the RAP (Round Algonquin Park). Snowmobilers will also tell you that the northern edge is particularly special, offering exceptional diversity with plenty of ride options. I recently had the opportunity to share the northern edge of the park, known as Voyageur Country with John, Scott and Cortney of KLiM, who are from Rigby, Idaho, USA. 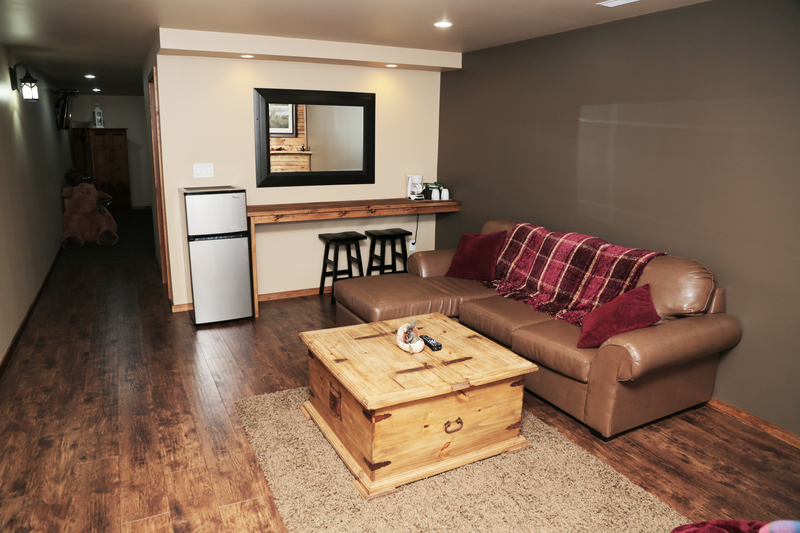 These three sledheads are just a short drive away from the world renowned Yellowstone National Park. Having an outdoor paradise near our homes is something we shared in common and although these two parks are ecologically different the outdoors enthusiast appreciation is the exact same. 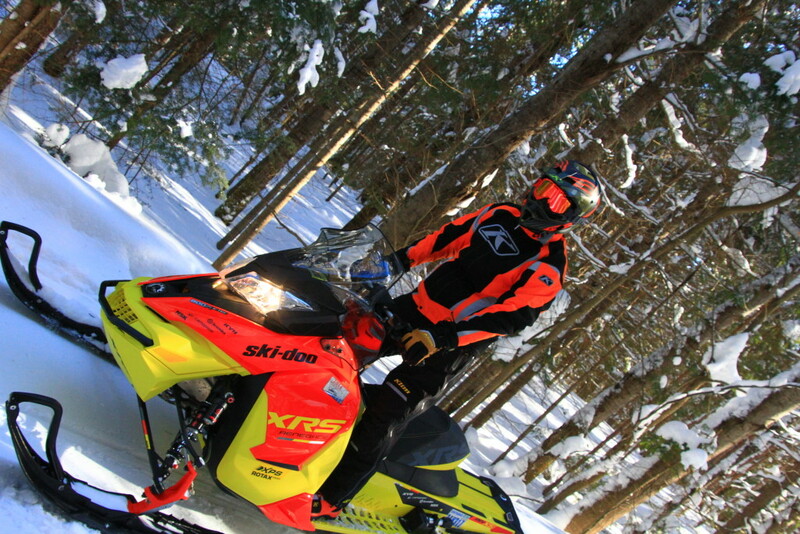 Many of us will say to ourselves, why would KLiM come to Ontario, Canada to Snowmobile? We recognize that sled-heaven places like Yellowstone, Colorado and Revelstoke are much closer to Idaho than Ontario, however the experience, riding style and conditions of our #OntarioSnowTrails is vastly different from these western snowmobile hot spots. 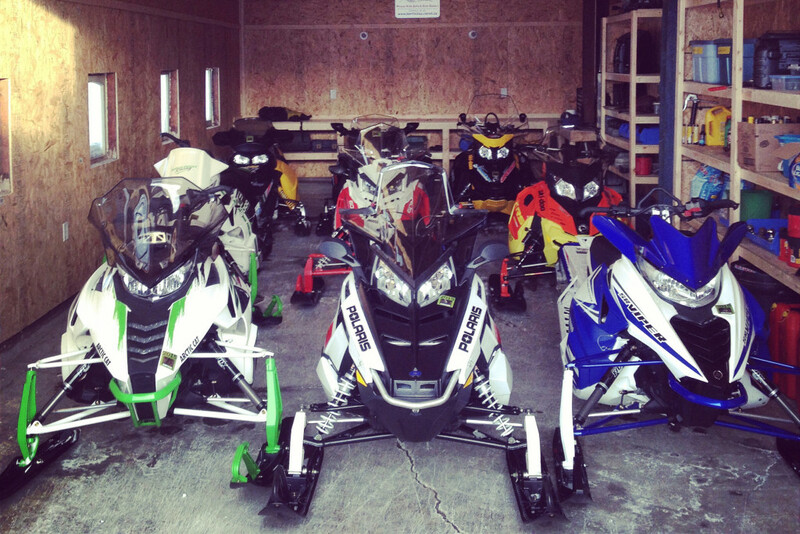 We do however share in common our need for high quality and comfortable, all-element snowmobile gear. Having the right gear is imperative to enjoyable rides. 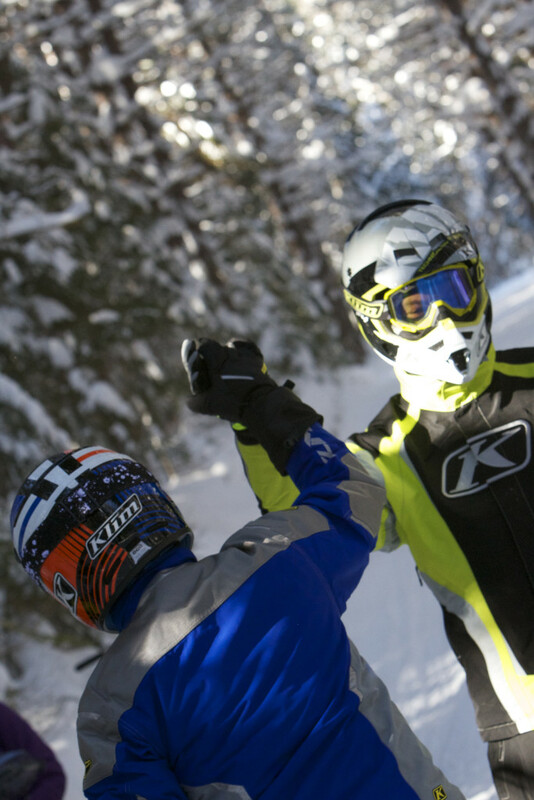 KLiM is no stranger to providing some of the best gear on the market, KLiM gear is flexible to riding styles, winter conditions and from what I experienced, is developed and tested for riders from west to east coasts. If I were to travel to the west coast to snowmobile my riding friends would line up to ask me what my experience was like. I’m sure Cortney, Scott and John will be asked by their mountain riding pals what the Ontario experience was like. After our two day ride these guys were like every day riding pals so I asked three questions, one to each of them. 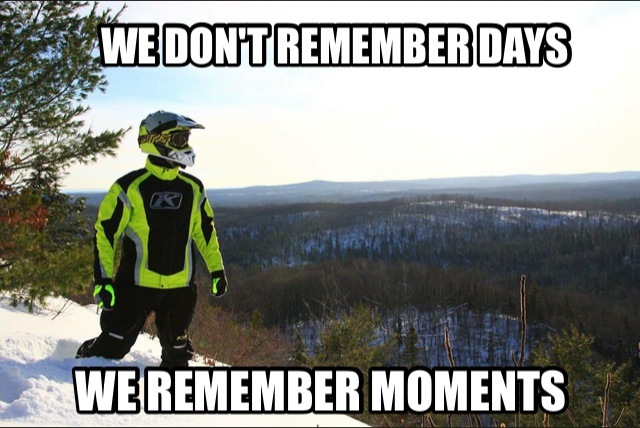 Cortney – What was the highlight of your Ontario Snowmobile Trip? The best part about my experience visiting Ontario was by far the people! 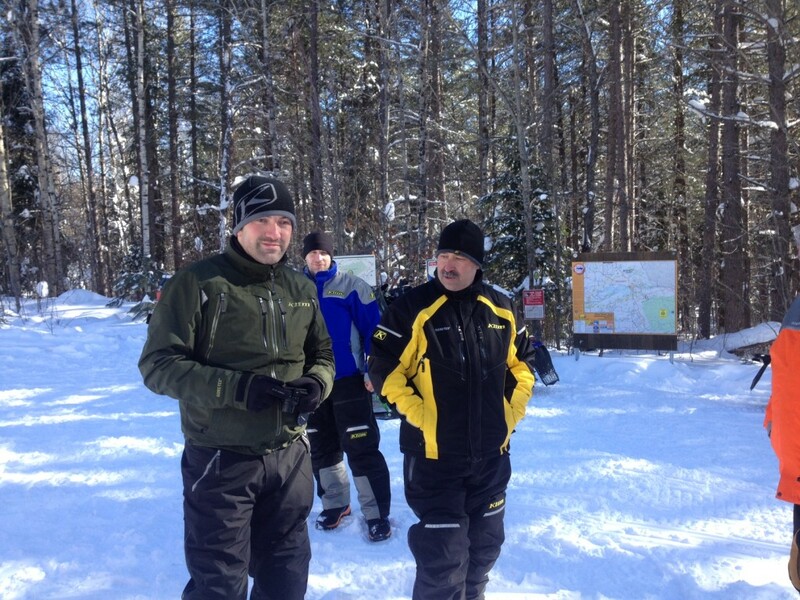 We were immediately introduced to everyone upon arrival, and felt right comfortable with our fellow Canadian snowmobilers. Our hosts at Cedar Gables Lodge, as well as everyone else, showed true Canadian hospitality to us during our stay. The local riders expressed their excitement and enthusiasm to share their home turf with every smile and handshake. As a cameraman I would look around me along the trail, in the thick forests, while I set up my tripod and equipment, thinking I had stepped into C.S.Lewis’ wintery world of Narnia., it was something only the eyes could truly appreciate. I just hope I was able to capture at least a glimpse on cam what I experienced in person! I loved my trip to Ontario and hope to return someday. Until then, at least I have the memories, the footage and the pictures to reminisce over. My wife hears about it each day! Scott – Were the area’s trails what you thought they would be? Did anything amaze you? What amazed me was the quality of the whole experience. From the hospitality, to the trail network to the local people’s attitudes about sledding and the outdoors – it was a pleasure to be there and participate in the sport. The trail network was sweet, and seemed to be designed with safety in mind to allow the biggest spread of rider types to enjoy it. I would like to say this about the people in Northern Ontario, which I saw coined on a bumper sticker: “The higher the latitude, the greater the attitude”. 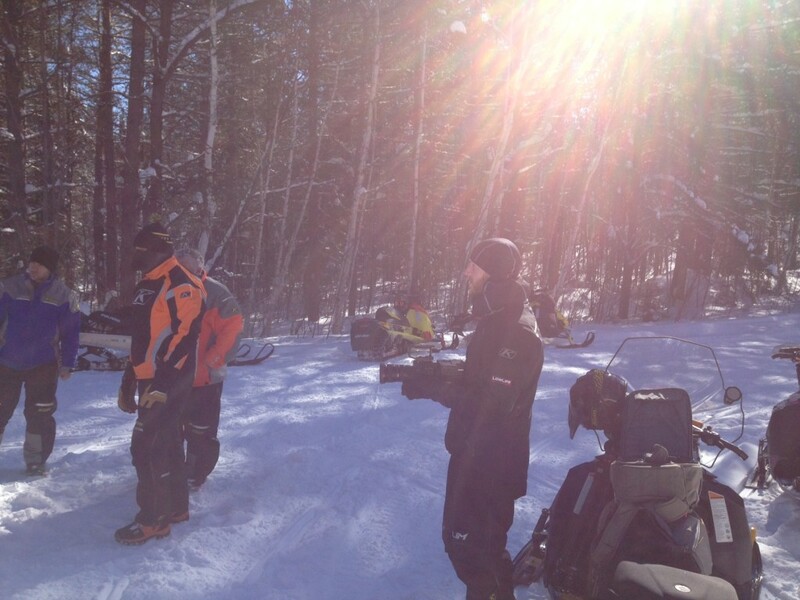 John – What Makes KLiM Gear great for Ontario Snowmobiling Conditions? Ontario provides some of the best trails around with a wide range of different types of trails, from wide open frozen lakes to tight twisting trails. Couple that with a wide range of weather conditions and you need clothing that will work and keep you comfortable in all of these varying conditions. 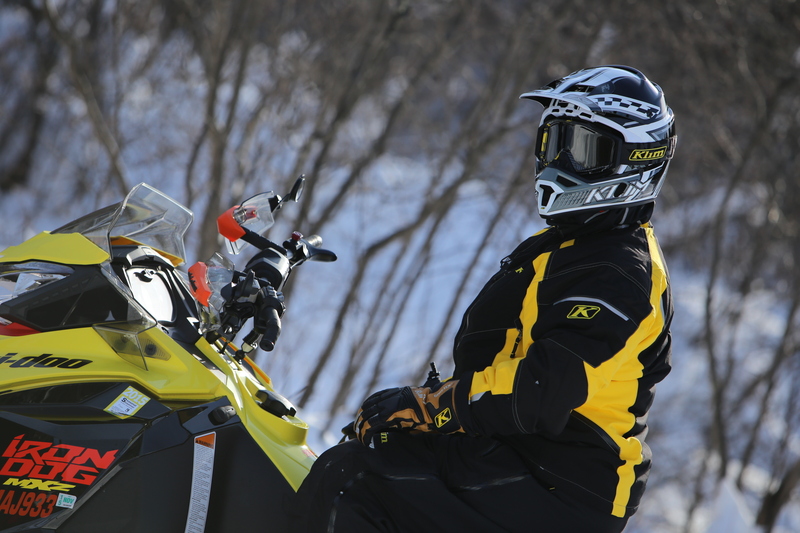 KliM is built with the right ingredients and rider specific patterning to give the rider maximum comfort no matter the conditions. Yes, that’s right, what we have here in Ontario is incredibly special and is like no other place in the world, this uniqueness is much more than our trail system. It’s the perfect combination of Canadian northern hospitality delivered by small communities, caring people with an unmatched pride of their home land. 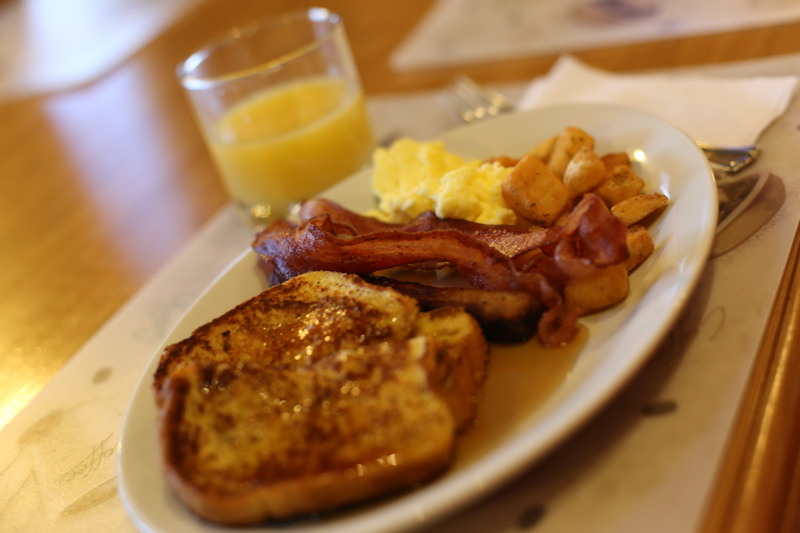 While on this adventure, the group stayed at Cedar Gables Lodge in Bonfield. The lodge is located 15 minutes east of North Bay and is in the Northeastern Ontario Tourism Region – Big Trails, Big Experiences. 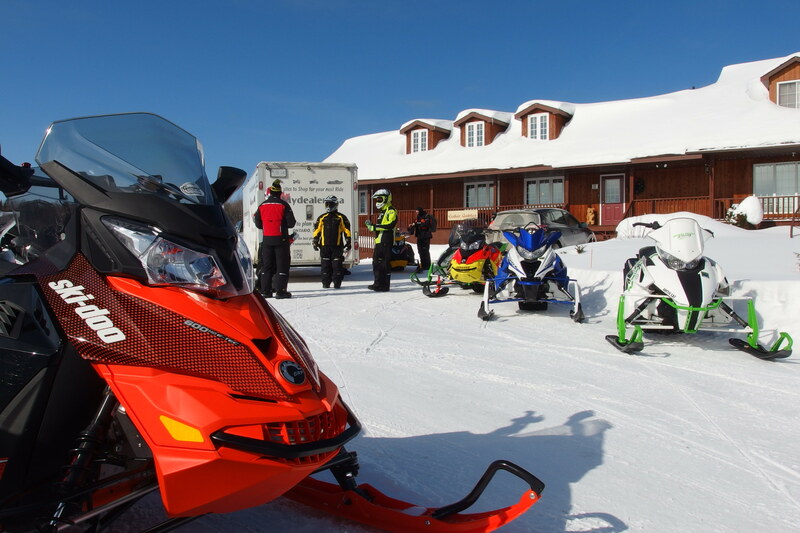 Cedar Gables caters to snowmobilers, offering your group the ability to rent the entire lodge. They have indoor storage for your snowmobiles, hearty meals and, best of all, the lodge owners are riders too so they have the knowledge on where the best rides are for your group on any given day. I’m still dreaming of a mountain adventure and hope to make the trip to Idaho next season, and by the sounds of Cortney, Scott and John’s Ontario experience, they will be dreaming of coming back to ride our #OntarioSnowTrails next year.